ShopTo has just revealed a new Ghosts avatar item with preorders of Call of Duty Ghosts. 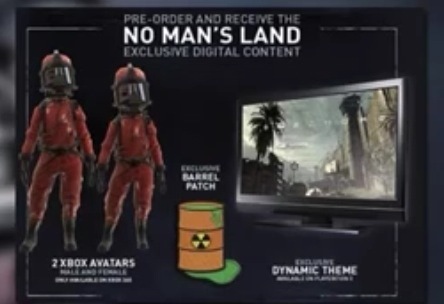 There was a little confusion with the ad as it mentions “No Man Lands DLC” but it appears to be just an avatar item with double XP. 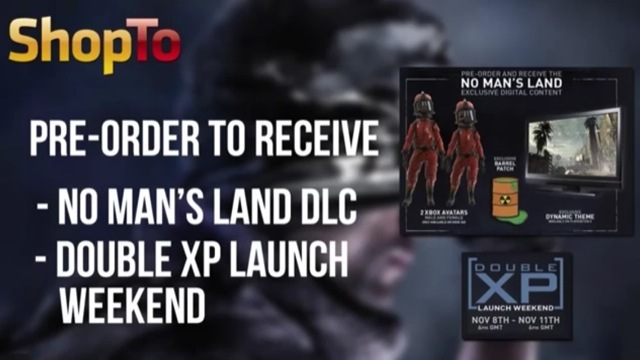 No Mans Land is the name of the single player mission revealed right before E3. Call of Duty: Ghosts is now available to pre-order at ShopTo. 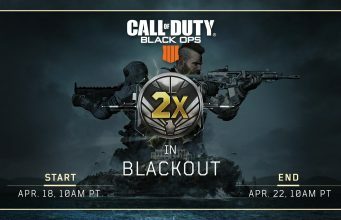 Pre-order today to gain access to the No Man’s Land DLC and the Double XP Launch Weekend.